On Saturday, April 21, 27 middle school students from Orange County competed in the 10th annual Middle School Public Debate Program (MSPDP) National Championship. The MSPDP has leagues in locales across the country, including New York, New Orleans, Washington, San Francisco, and several in Southern California. Only 27 of the roughly 200 students from the MSPDP-affiliated Orange County Debate League (OCDL) earned the chance to compete in the National Championship. 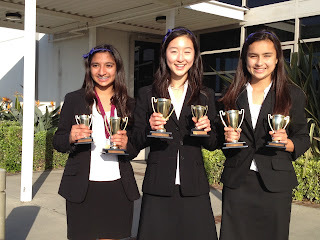 We are very proud of our OCDL debaters. The students from Fairmont Anaheim Hills and Edgewood did a fantastic job. About 100 teams (300 bright students) came to participate in this event. As a group, the OCDL students won roughly 65% of their debates! Clearly, some of the BEST competition in middle school debate is right here in Orange County (and at Fairmont Private Schools)!